Symbols are used every day for many reasons, logos of companies, trademarks of products, or to show a group or club you belong to. Christian symbols have been used by Christians from the very beginning of the church.. The cross, the fish, the anchor plus a lot of others, but do you know what they mean. 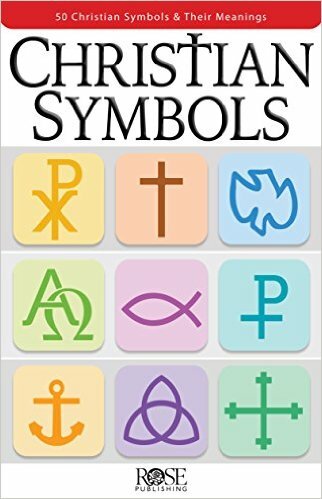 In this new full colored and illustrated pamphlet, you will see many different symbols used by Christians and a short history behind the symbols. An example is the cross, which can represent many things, including victory, discipleship, Christ’s love and reconciliation. There are symbols for the trinity and different Christian and Biblical imagery that you may not know the meaning. This pamphlet will show the different symbols and a definition for each. The definitions are very easy to understand. Discussion questions are offered for family studies and group studies. I believe this pamphlet would be a asset to anyone's reference books and library.